I love creating layered, colorful, complex collage paper to use in all of my mixed media projects! Collage paper, to me, is the foundation and the thread that holds my pieces together. Creating your own collage paper is a great way to get to know your â€œstyle,â€� color, and mark-making preferences. Because it is â€œonly paperâ€� we are also able to take more risks when creating these marvelous, mini masterpieces-in-disguise! 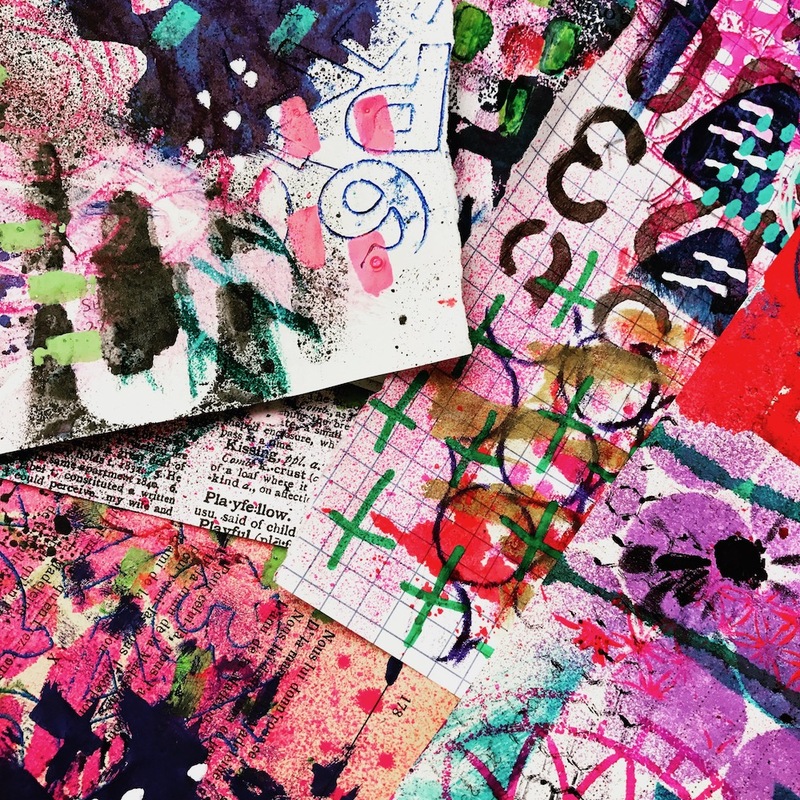 Weâ€™ll use a variety of mixed media to create these, lovely, layered pages as we learn create visual texture and play with color, mark-making, and printmaking techniques. 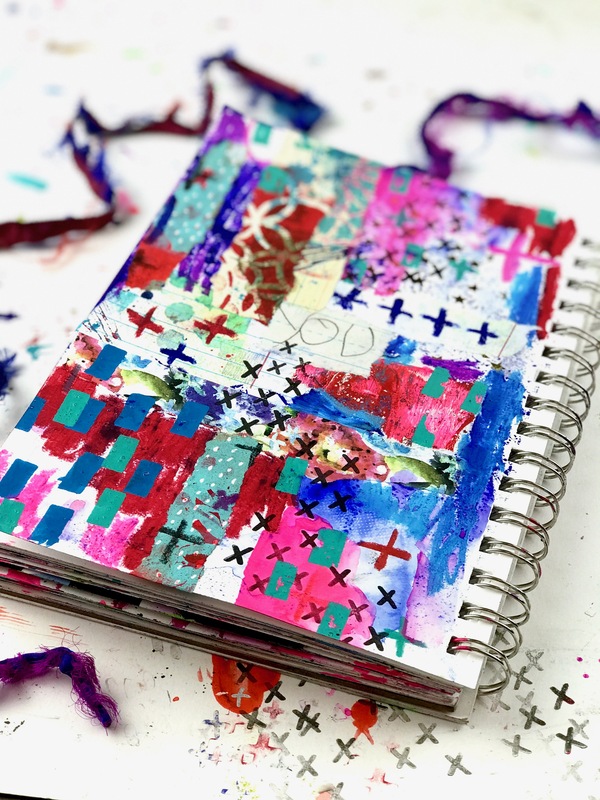 Then, weâ€™ll create mixed media backgrounds in our art journals and build up collage layers to create unique, colorful, abstract works of art. We can further add to them using our favorite quotes or images which might include adding an inspirational quote, â€œword of the yearâ€�, a photo, collage or stenciled image.